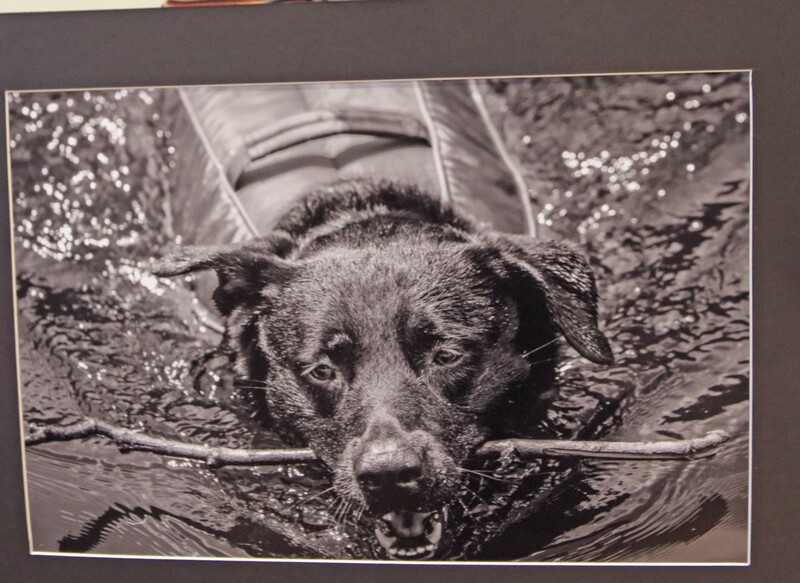 Amelia Daum’s gorgeous black and white photograph of her black Labrador fetching a stick from a neighbor’s pond took home the Grand Prize in this year’s Water Art Invitational hosted by the Prince William County Service Authority. The utility recognized the Forest Park junior and 28 other talented high school artists from seven Prince William County high schools. This year’s event was also held in memory of longtime Neabsco Supervisor and event supporter John D. Jenkins. Jenkins only missed one year of the event in its 20-year history, said wife Ernestine. Now fully grown, Daum’s dog has come a long way since her father found him on the side of Aden Road as a puppy, riddled with ticks. Daum was joined in the winner’s circle by Woodbridge High School’s Joanna Vitela, who took first place in the Photography category. Colgan’s Kristen Rankin and Valeria Vera Alva won top honors in Computer Graphics and Painting & Drawing, respectively. Other winners include Yanice Quiroga (2nd-Computer Graphics) of Forest Park, Estelle Ackumey (2nd-Painting and Drawing) of Colgan, Taylor Makin (2nd Photography) of Woodbridge, Lauren Buckley (3rd Computer Graphics) of Battlefield, Liam Starrs (3rd Photography) of Patriot, Davida Alumbaugh (3rd-tie Painting & Drawing) of Hylton and Estella Amoussou (3rd-tie Painting & Drawing) of Colgan. There were also 18 General Manager Award winners among the 193 entries. Colgan and Forest Park led the way with 11 and six award recipients, respectively. Overall, the Service Authority awarded nearly $5,000 in cash prizes to students thanks to the generosity of its 28 event sponsors.